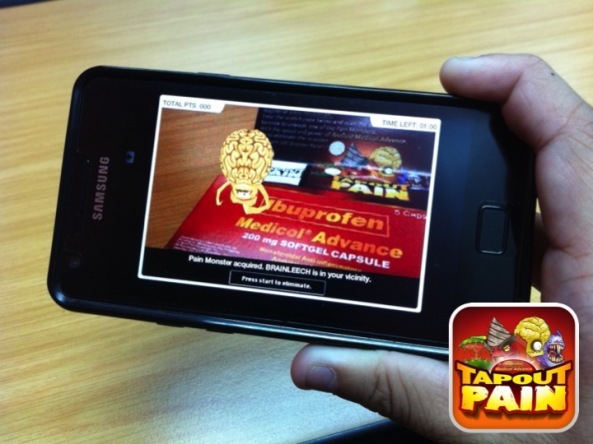 Tap Out Pain with Medicol Advance and Win an iPad or Samsung S2!!! Have you tried playing Tap Out Pain by Ibufluid Medicol Advance yet? This augmented reality game is actually the first of its kind in the Philippines and is the latest addition to Medicol's Advance Rewards Program. The best part is that winning is super duper easy! Tap Out Pain comes with attractive graphics in full color that promise visually stimulating eyecandy as you play on your computer or Android device. You won't get bored, either, because it will keep challenging you to take on quicker reaction time levels. I actually think they're kinda cute to be "monsters". Lol. Naturally, you will be using Medicol Advance softgel as your killing weapon in the game! Clever, huh? Do You Dare? Part 2. Women Can Shop at SM Men's, Too! Lookbook.nu Look: Who Would I Be? Futureworld: the Newest Apple Reseller in Town! Do Not Miss the Adidas "Laced Up" Tour 2012! More Cotton On Openings: What's in Store for You! Who Wants to Join the Snoopy Holiday Street Fair?